can you give us any details on memory usage and 'lightness'? I've heard some astounding claims that it only uses ~30 MB idling -- is that so? Hey its better then Ubuntu! run by dicks.. er uhmm i mean dictators! You wrote "'Elive: Where Debian mights Enlightenment'This is Elive's slogan." Actually, Elive's slogan is "Elive: Where Debian Meets Enlightenment." Elive does a good Enlightenment Desktop dark theme, but that's about it. Still along way to go for me to pay for it, sorry Elive Dev Team. You have to do better than the other Distro's seeing your asking money for it. Once you do that you'd better provide a better Product than your doing now! Think hard about who your end User is....? Is it ex Windows Users who have no idea about the inner workings of Windows little know Linux or is it aimed at Linux Users who are a little bit smarter tech wise. Don't see this as a put down more a wake up to what and where you want to be in the future! Sorry, but I couldn't see myself making a "donation" until I had installed it and given it a thorough testing. Too often I've tried distros which look glossy on the surface but have serious shortcomings for any extended use. Somehow it seems..."wrong"... to pay money for any distro that then uses open source software. Gue$$ I won't be trying it anytime soon...I'm not a gambler. No wonder the forum doesn't get much play. Sorry, the work done on Elive is appreciable but the method adopted by Mr.Samuel 'Thanatermesis' F for the reward of his work is against the spirit of opensource world and smells of malacious and treacherous intents. Let the Elive be best still it`s not worth purchasing when there are far better alternatives available with regards for opensource ethics. I paid for Samuel's work because he put a lot of effort into doing what I was unable/unwilling to do myself. For all you college grads out there, that's what we used to call "capitalism," an economic system too often vilified by those who adhere to the principle of coercive social justice. e17 has been in beta for years. It looks nice but too buggy for me.. there are other more stable light desktops such as lxde and fluxbox. I don't mind that he is looking for some money to support the project..but i think a simple donate button or selling merchandise like everyone else would make more people download it. Excellent comment Scott Moore! Finally, someone who understands and apparently believes in capitalism/freedom. Can someone please explain me what all that hype is about ? Debian based distro featuring Enlightenment ? Wow,what a rarity ! I'm using Sidux which is based on Debian Sid- that means always the latest up-to-date bleeding edge software and newest kernel, all it takes to install Enlightenment is to edit your etc/apt/sources.lst to include unstable branch, and no, they don't ask you to pay for that ! Elive's developer asked for money in all previous development versions promising that the stable one will be free of charge, what a joke of a distribution ! Did you ever read the full posting? I'm betting you didn't from your comment. Think before you speak (or post) and be informed on the topic at hand. Definitely worth 15$ of my donation.Bravo !! for Thanatermesis. I spent hundreds for cutting edge fedoras and ubuntus, burning countless cd's. My nexus phone cost me 170$ with open source OS and i have this filing that Google make some money on theirs OS too. May bee no directly but still. Have you guys tried the Zeitgeist branch of it? Equatable to Window's system recovery mode, "Nurse Mode" allows the user to perform a number of recovery/restore options on the system. " Show me Debian with this feature that is done as elegantly as Elive has done it. Thats a new feature. As for your stab at my age, age by no means equates to Wisdom/Intelligence. No one is making you use or pay for Elive... I never said it wasn't possible to replicate what Elive has done on another distro - it simply has not been done as well up until this point. 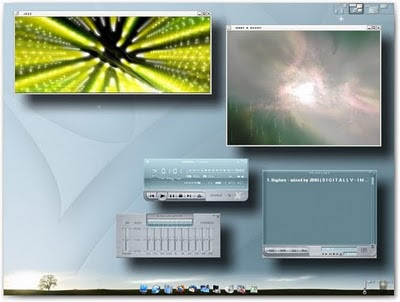 links to isos for all major desktop evironments including pclinuxos-e17-beta1.iso It is a livecd and it is installable. Choose a mirror close to your location. Jeff has an Elive Night Light and Teddy Bear. I did finally get around to trying the PCOS Linux e17 live disc, it does not come even close to the "wow" Elive provides by default... There is alot to be said for a proper configuration. Elive is based off of Debian Stable, they maintain some of their own packages but most of their software is straight from the Debian repositories. They also pre-compile all the nVidia modules for the kernels in their repositories so you will not have to compile them from source. I sent them some dough a few years ago. It was worth it then: it is /was a gorgeous system. Wanted to support the English-as-a-second-language dudes. Never used it. Too unstable. I think that I have a downloaded install version of 2. Haven't gotten to it. Mint Linux is quite slick and saucy to the eyes - and, too, on Debian. Still like FreeBSD better overall. But Turnkey Linux had lead me to look at Linux again for work, real work. If I was a real programmer rather than a hacker, I would be working on Gnumeric. I use Excel everyday, all day. When Gnumeric smokes Excel with Python or Lua as the "VBA" it will be a different world. (I once compiled OpenOffice on an old PIII 500Mhz - took all weekend!) BTW, if you are not using TeX, you might as well write on a MSWindows system. their installer module is a joke. any core Linux user can bypass it w/o much of effort. lousy effort on elive part. I'm not supporting piracy, but I hate Microsoft tactics. You have to contact vendor to activate it every time you change something. Even after paying, I can't try it in virtual machine before installing to actual. This is a great distro with a beautiful desktop and many packages to install, I hope this will be my last try to my Asus! The elive crew are short-changing their efforts and the payback. Elive should not be priced more than a US $1. like the $19.95 offers on the TV, $1 is an established cost/price for software/music. the economics of this are well established - except for the fact that at $1 server load might far outstrip what is available. I only wish the elive crew would release the code (so to speak) so that their work could trump all the Macintolerant whacks out there.